So it was on 21 November 1917 when John Michael Galvin and Grace Walmsley Payne married. Thanks to one of my husband’s cousins, we now have some photos of them. The description of the wedding appeared in the newspaper some two months after the wedding. 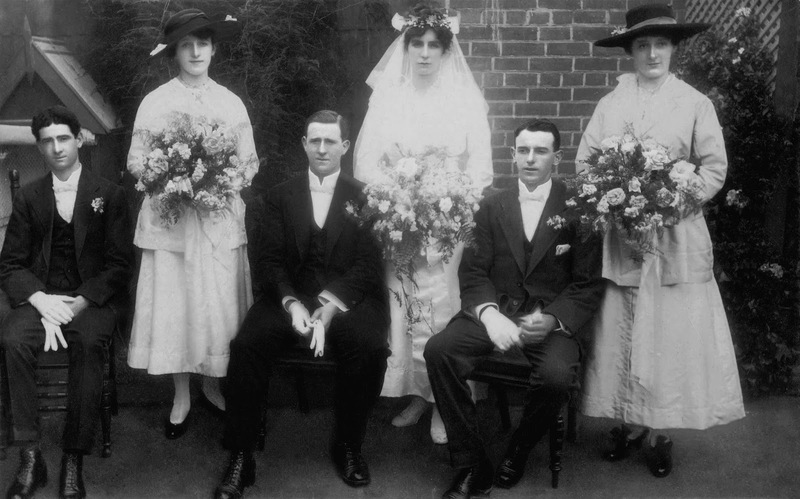 A pretty wedding was celebrated before a Choral Mass in St. Patrick's Church, Adelaide, on November 21, the contracting parties being Mr. Jack M. Galvin, eldest son of Mr. and Mrs. J. P. Galvin, of Adelaide, and Miss Grace Walmsley Payne, youngest daughter of Mrs. E. Payne, of Adelaide. Rev. Father O'Sullivan officiated. The bride, who was conducted to the altar by her brother, Mr. E. Payne, looked charming in a dress of ivory silk poplin (tunic effect), and carried a shower bouquet. The first bridesmaid, Miss Annie Walmsley (cousin of the bride), wore a dainty Assam, silk costume and black hat with pink trimmings. The second bridesmaid, Miss Kathleen Dineen (cousin of the bridegroom), was charmingly dressed in a Japanese silk frock costume with black hat relieved with pink. It is highly likely that Grace and John had met in Adelaide through the very active local Catholic church youth group, St Patrick’s Literary and Dramatic Society. This group held weekly meetings with debates, impromptu speeches, readings and talks and they were both very active members. So one could suggest that this was indeed fertile ground for young love; weekly meetings, spirited debating and performances. John had turned 19 in 1915 and Grace was 21. At a September meeting in 1915 which focussed on all things Irish, Grace presented a talk on “The five counties” and John’s presentation was entitled “Home Rule”(3). They were also required to act as critics for other speeches and performances. In November of 1915 when the new hall at St Patrick’s was opened, a celebratory evening concluded with the court scene from “The merchant of Venice” John was Antonio and Grace performed as Portia. After his wife died in 1968, John Michael Galvin wrote a brief history about his ancestors, relations and descendants in Australia. Here he recalled his early years. It was my very good fortune to meet a most gracious young lady, Grace Walmsley Payne. We were both members of a self-improvement Society - St Patrick' s Literary and Debating Society - which conducted weekly meetings at which papers on current topics would be read by individual members and then would be subjected to criticism by the other members present. Apparently at that stage of my life I must have been somewhat assertive in character as it came back to me that Grace had mentioned to some of her girl friends that when she got the opportunity she was going "to take that cocky young Jack Galvin down a peg or two". She did and as I remember the incident it concerned my over emphasis of the letter 'h' in hospital-as she said in her criticism "I would remind Mr Galvin that it is pronounced 'aitch' not 'haitch'. Something had to be done to atone for that. Something was. There is much more to be told another day about the lives of this couple, my husband's paternal grandparents, but for now we come full circle to the wedding photo. It is highly likely that this photo was taken at the time of the wedding breakfast outside the home of John Michael's father John Patrick Galvin. He was a photographer who at various times between 1902 and 1923 operated out of studios in Adelaide and from his home. 1968 Galvin, John Michael The Galvin Family: Over one hundred years in Australia. Family document held digitally. Thanks for visiting, I appreciate your comments. Take a look around. Read some stories from yesteryears. These are my family's tales of yore. Follow Carmel's board South Australia Family history and Genealogy on Pinterest. 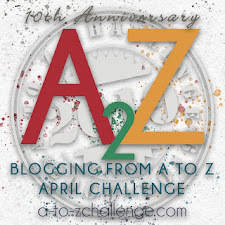 This post first appeared on Earlier Years written by Carmel R Galvin. Ethereal theme. Powered by Blogger.